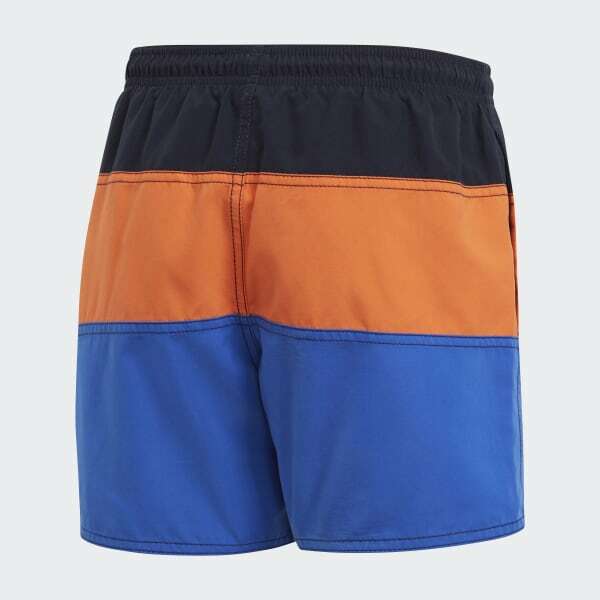 These junior boys' swim shorts made of twill are cut short for freedom of movement and a clean-cut beach look. A drawcord at the waist allows you to adjust the fit. 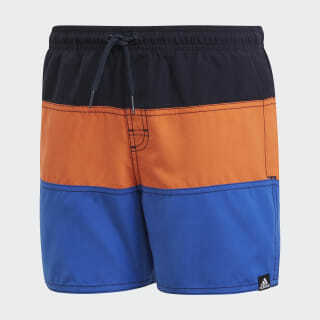 Blocks of colour give them sporty style.